The Holmes Shea Band – Band leaders John Holmes and Jamie Shea have penned lively pop-rock originals with an infusion of funk, r&b, jazz and Latin. Jamie’s soaring vocals and keyboard combine with John’s lead guitar and vocals to provide a powerful counterpoint. The driving rhythm section – Michael O’Neal on drums, Dave Lyon on bass and Oscar De La Rosa on Latin percussion – shines equally on infectious dance grooves and dreamy atmospherics. Stellar horn player Mark Kelly rounds out the sextet with soulful sax and soaring flute. 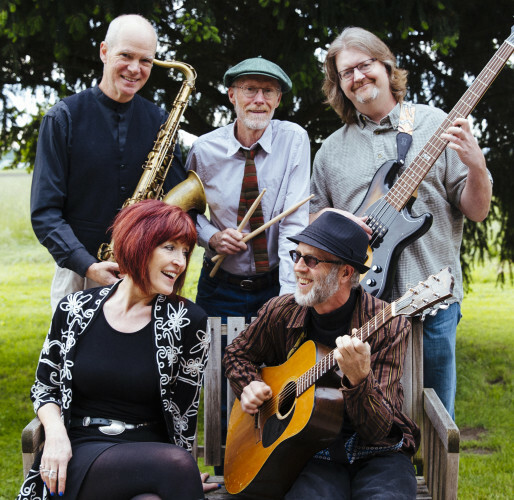 The band’s originals bring to mind Bonnie Raitt, Santana and even at times Flora Purim. The sets are rounded out with Motown soul classics that get everyone on their feet.